Please note: This is the legacy version of our UKMail iConsign Magento extension. Our latest offering is much easier to configure for non-technical users, using UKMail online API with Magento. Our new UKMail Magento extension can be found here. This page is for our legacy version of the old UKMail extension and is no longer available to purchase. Our UKMail Magento extension allows you to send your orders to UKMail and send tracking emails to customers straight from Magento. 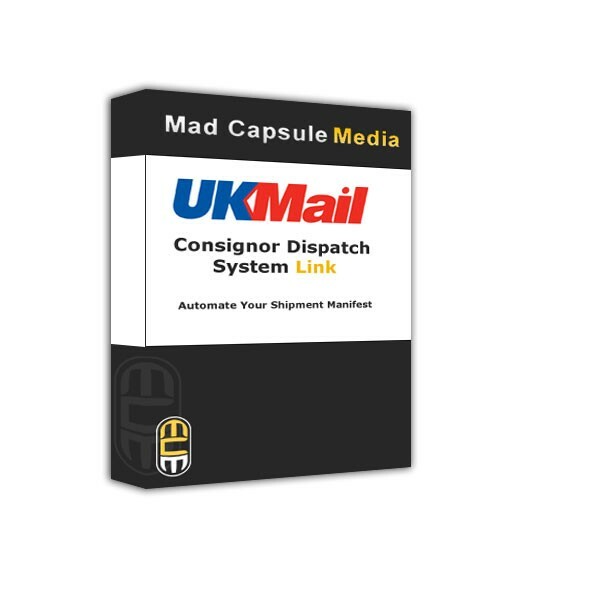 Automate the printing of your shipping lables from Magento to UKMail with this extension. Explore our Live Demo to make sure this extension is for you. 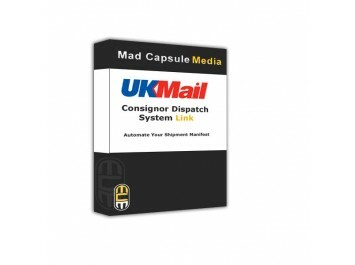 UKMail / Business-Post Account & Consignor Despatch System, provided by Business-Post. A route in to your consignor queue via FTP. ( We provide instructions on how you can do this). Differentiate between the shipments sent from your Magento store and your other websites, locations, brands or companies. This extension integrates two remote systems (your Magento website and your Consignor computer). Thus, complexity of installation can vary depending on your current system setup. Although we include full documentation on how to install this extension, if you are not of a technical nature you may wish to purchase the Installation option and have us set this extension up for you. ** This extension adds a field to the checkout page that allows the customer to enter instructions for the courier. As there are so many combinations of checkout, this has been created to work with Magento's Modern Blue theme. If you have substantial customisation to your checkout pages, this field may need to be added manually by your developers as we do not cover this in the scope of our extension or our installation service. Though we will provide advice and assistance where we can. Our number 1 priority is getting you up and running and sending your shipments to UKMail. We offer 30 minutes post-sale support to help you troubleshoot any problems that occure with your setup. Installation services and additional support can be purchased for more complex requirements where required.